Denver Broncos tackle Menelik Watson (75) played only seven games last season after he signed a three-year deal with the team. 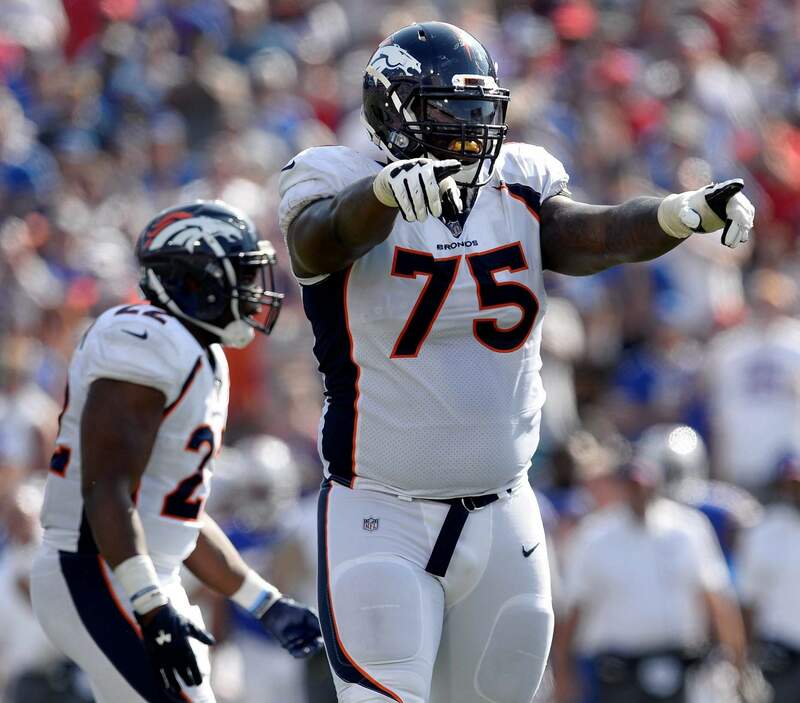 ENGLEWOOD – Menelik Watson’s time in Denver is over. The Broncos placed Watson on the injured reserve list Monday with a chest injury and intend to release him once he’s healthy. That means the Broncos will take a $6.83 million salary cap hit this year. With the acquisition of ninth-year veteran Jared Veldheer this offseason, Watson was moved to backup guard after playing in just seven games as Denver’s starting right tackle last season. Watson didn’t play in either of the Broncos’ preseason games this summer after getting hurt in training camp. Watson’s $5.5 million salary for 2018 was guaranteed on the fifth day of the league year back in March. As part of a plan to toughen up the trenches, the Broncos signed the athletic Watson to a three-year, $18.375 million contract last year even though his four seasons in Oakland were marred by calf and groin injuries and a ruptured Achilles tendon that sidelined him all of 2015. After averaging just 6.75 games a year with the Raiders, Watson played in seven games for Denver last year before going on the IR with a torn foot tendon. He also was bothered by a strained calf early in the season. Born in Manchester, England, Watson began his collegiate career playing basketball at Maris College before transferring to Saddleback Junior College in 2011 and playing football for the first time. He played one season at Florida State in 2012 and the Raiders selected him in the second round of the 2013 NFL draft.